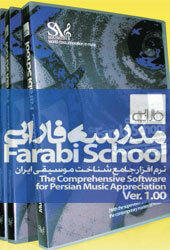 The study of different styles of Persian music since the Qajar period to the present time. A selection of western and Persian music theories. More than 100 valuable historic clips, plays, photos of famous Iranian music masters. More than 17 Hours video and audio samples and hundreds of Photos. Adjusting different simple, compound and irregular metric patterns. Selecting sound of first beat. Wide tempo range form (10-400) Bpm. Tone generating cent by cent (up/down). Adjusting the concert pitch (A435 to A445). Making all kinds of scales with accuracy ±1 cent. Playing the scale and melody samples from different musical cultures. Melody making with microtonal abilities. Transpose of melody & scale by adjusting tonic, octave and cent. Get Activation Key for version 1.0 Here. Get Activation Key for version 1.2 Here.